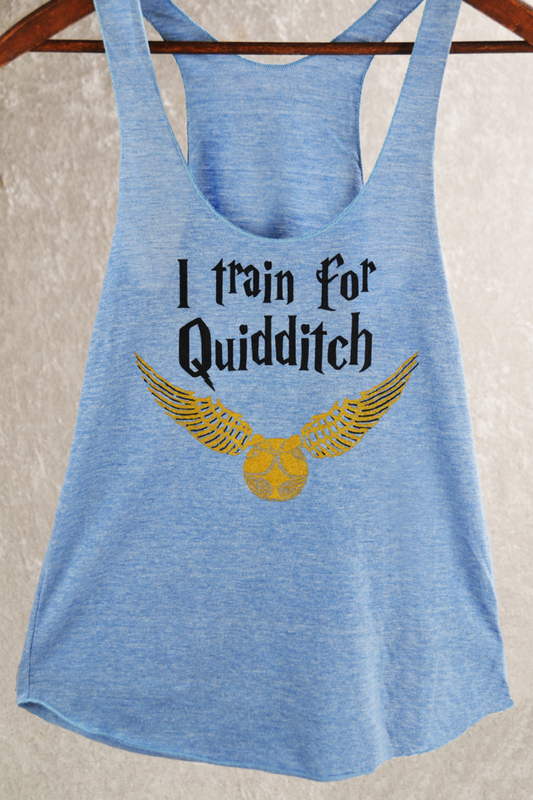 OUR ORIGINAL DESIGN "I Train For Quidditch" Racerback tank top in Blue or Expresso with non-toxic black and metallic gold inks. Supersoft fabric Tri-Blend 50Poly/25%Cot/25%Rayon. 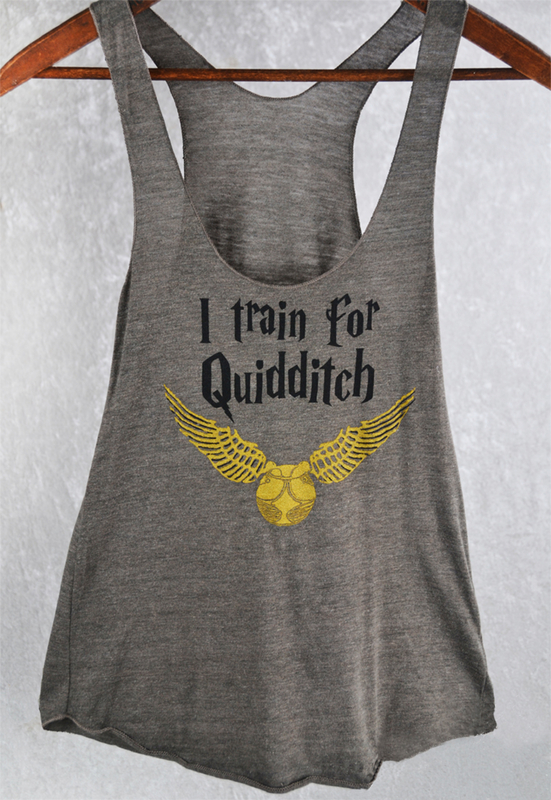 Quidditch has become an actual sport with regional and international competitions that even includes broomsticks and a snitch!